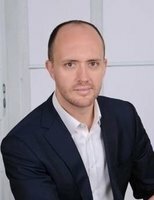 I’m a Fellow of the Association of Chartered Certified Accountants and business oriented Finance Manager with globally diverse experiences; I have worked in a variety of leadership, business finance and controlling roles across seven countries in Europe, Asia and Oceania, now based in Shell Business Operations in Krakow, Poland. Throughout my career I have retained close links to the ACCA, initially as a participant in the ACCA Leaders of Tomorrowprogramme, an active member of the Dutch Professional Accountants in Europe network (PAiE), a mentor for ACCA LOT alumni and currently as a student of the combined ACCA and University of London certification: MSc. in Professional Accounting. I’m Australian, I was married in Warsaw to my Polish wife Monika and I’m proud father of two-year old son George.